We are a licensed dairy facilities we have certain state guidelines we are required to follow and are inspected twice a year. We milk test monthly and sample our bulk tanks often for bacterial counts. All livestock here at Laz Ewe has access to fresh clean water and free choice gmo-free ranch raised hay without pesticides, herbicides, or commercial fertilizers. They also have access to mineral and salt. During summer months livestock is given 8 hrs of rotational grazing time. All livestock is sheltered in bedded barns Barns and pens are cleaned on a routine bases. All milking animals are milked twice a day and during this time period given Alfalfa and gmo-free milo that has been soakened in whey ( by-product of our cheese making) Herbal teat dip is used for clean udders and teats before each animal is milked. We are required to use a detergent and acid wash cycle after each milking. 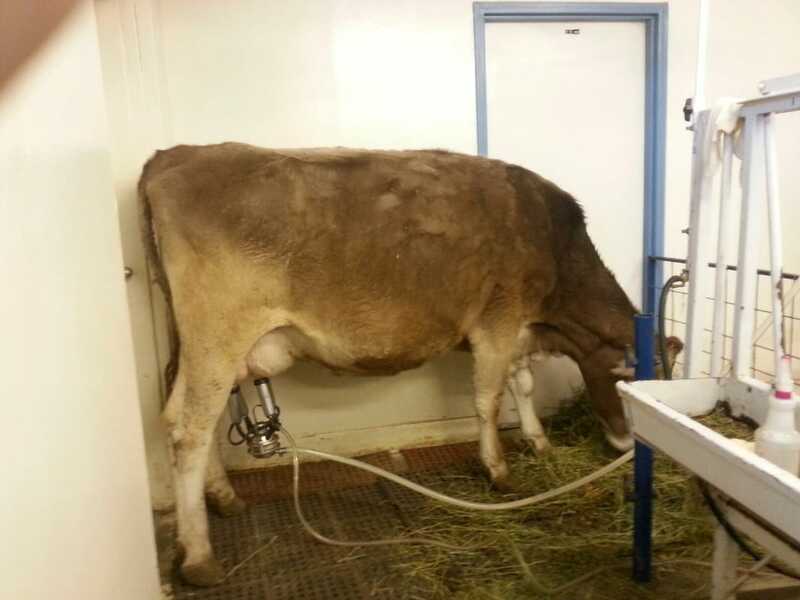 A sanitize wash cycle before milking. Each inflaction is dipped in a sanitize solution between each animal. Parlor is sweeped after each milking and washed weekly. We do vaccinate in the fall and spring to prevent diseases. Wormer's are given annually. No hormones (rSBT) are given. Antibiotics are only used to treat an animal exhibiting symptoms of illness and removed from the milk line. These animals will not be returned to the milk supply until they test negative from antibiotics.